An introduction to the Harvard method of principled negotiation where we learn to create value at the bargaining table by focusing on interests and needs rather than positions. This workshop then introduces the "world view" of the Chinese negotiator and explains how it differs from the Western approach to bargaining. 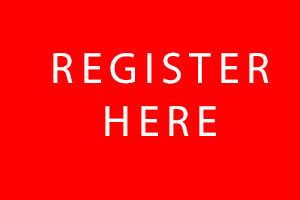 Who Should Attend: UK government trade negotiators, sales & operation managers from the private & public sectors representing manufacturing and services trading between the US/EU and China. This includes advisory roles who negotiate, such as M&A specialists, investment bankers, lawyers, accountants, government affairs & public relations executives, post-graduate students with a knowledge of China wanting to specialise in these fields. High Context v. Low Context Negotiation Styles - How the Chinese approach to negotiation differs from the Western approach:These styles are analyzed in terms of process; information exchange; means of persuasion; terms of agreement. Viewed in the context of these two paradigms, it is easier to understand what our common interest are, if we are able to identify and overcome the barriers of our cultural difference. What is the Western concept of Negotiation? Learn the Harvard method of principled negotiation and how you can use it to overcome resistance to your position by bargaining over interests and needs. Learn to understand the six inherent tensions that exist in all negotiations and what a BATNA (best alternative to a negotiated agreement) and a ZOPA (zone of possible agreement) are. Why the Chinese are different from us? Brief overview of the historical & cultural drivers of the Chinese negotiator. It will explore the different ethical approaches that Chinese and Western negotiators bring to the table. Learn key Mandarin negotiation terminology. Learn to understand the new cultural attitudes of China's Millennial Generation. Harvard Business School Case Study: “Levendary Café – The China Challenge” Scenario: Just weeks into her new job, Mia Foster, a first time CEO with no international management experience, is faced with a major challenge at Levendary Café, a $10 billion US-based fast food chain. Strategically, many of her corporate staff have become concerned that the company's major expansion into China is moving too far from Levendary's well-defined concepts of store design and menu. Organizationally, Foster has been frustrated by the apparent unwillingness of Louis Chen, president of Levendary China, to conform to the company's planning and reporting processes. Meanwhile, financial evidence shows that Chen's efforts have produced strong results and suggests that he knows China far better than U.S headquarters does. The entrepreneurial Chen has resisted attempts by Foster and others to discuss corporate plans for China. The discussion of this case study will center on identifying the eight elements of Chinese negotiation and highlighting the differences in approach to the negotiation by Ms. Foster (the Westerner) and Mr. Chen (the Chinese). Stanford Graduate School of Business Simulation: The HBT Merger- Scenario: Haley-Burroughs is a USA-based diversified technology company that is a global leader in computer hardware, software and services. Its revenues for the last four quarters were close to $50 billion. Faced with increasing strong competition, a weak global economy, and a correspondingly challenging market, it decided to acquire China-based TriFec, a $40 billion company and top producer of personal computers. The acquisition was completed six weeks ago and the new company – HBT – officially launched. Planning for the merger was long and rigorous. Big tech mergers such as this do not have an encouraging track record, as the vast majority fail to meet their goals. If this merger is to succeed, it is absolutely critical that the post-launch consolidation process be fast, efficient and thorough. Six week into the new company, both sides have missed their initial deadlines. 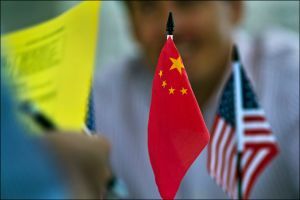 The negotiators from the USA and China must reset post-merger expectations, address the different underlining interests and get the merger plan back on track. They have the opportunity to demonstrate active listening, inquiry, and feedback regarding post-merger expectations at HBT headquarters in the USA and at HBT Shanghai. The negotiators are due to report back to HBT CEO Chris Carson next week. The negotiation takes place in Shanghai. Debrief: Sharing cultural and negotiation experiences. Learn to negotiate at different levels of trust. Harvard Kennedy School Simulation: Universal Aircraft: Scenario: This is a negotiation between the Vice-President of the US-based Universal Aircraft Company, the largest commercial and military aircraft manufacturer in the world, and a senior government representative of Karthik, an oil-rich developing country in Central Asia. The high-value negotiation involves the sale of the G-232 aircraft, spare parts, advanced electronics and on-going maintenance. Karthik recently concluded a deal with Universal Aircraft’s arch-rival, Eurostar. Group discussion - Sharing experiences. What common negotiation tactics did you encounter such as extreme demands, escalating demands, lock-in tactics, take-it-or leave-it, phoney facts, dubious intentions, personal attacks, and threats? How did you handle them? How cultural differences affect negotiation styles and tactics. Chinese Negotiation and Business Etiquette - understanding cultural sensitivities at the bargaining table. Harvard Law School Simulation: Canada-China Panda Acquisition Negotiation - Scenario: In 2010, after years of communication with the Chinese Association of Zoological Gardens (CAZG) concerning a loan of giant pandas, Toronto Zoo officials see a “ripe moment” to intensify their efforts and undertake formal negotiations. They designate a Chinese-Canadian spokesman and discuss partnering with Calgary Zoo. The Canadians face serious challenges, however. Giant pandas are an endangered species native only to one country: China. Moreover as “star attractions,” they are in demand by zoos all over the world. Political and economic factors within and between the two countries complicate the situation. The negotiation takes place in Toronto. Debrief: Sharing cultural and negotiation experiences. University of Hong Kong & Columbia Business School Simulation: Negotiation in China - How Universal? - Scenario: Universal Studios, a major US theme parks and resorts company, would like to negotiate with Chinese Central Government for building its first theme park in the country. The negotiators will discuss the new theme park’s location, ownership structure, size, nature of theme zones, local employment and hospitality training programs. The negotiation takes place in Beijing. Participants who played the role of Chinese negotiators in the morning session will play the role of US negotiators in the afternoon session and vice-versa. Your Negotiator Profile: Using the Thomas-Kilmann Conflict Mode Exercise you will learn to recognise the different approaches to negotiation in this self-scoring test. Are you competitive, collaborative, an accommodator, an avoider or do you favour compromising? The London Confucius Institute is a non-profit organisation that aims to promote Chinese language learning & teaching, and the understanding of the Chinese culture in the United Kingdom. It also endeavours to facilitate research activities in the above areas, and to bridge cultural and educational exchanges between Britain and China. Set up under an agreement between Confucius Institute Headquarters (Hanban) and SOAS, the London Confucius Institute offers courses and engages in various language and culture courses and activities by drawing upon the expertise and resources from SOAS and the Chinese partner Beijing Foreign Studies University. The Centre for International Studies and Diplomacy (CISD) is committed to the promotion of excellence in teaching, scholarship and research. Through varied degree programmes and course offerings, as well a range of extra-curricular activities, the Centre’s aim is to deliver cross-disciplinary teaching and learning that combines an understanding of key concepts, theories and debates with effective practical skills training. Drawing on the academic expertise of both the Centre and SOAS departments of Law, Politics and Economics, and leveraging SOAS’ distinctive regional expertise, CISD programmes seek to look beyond the traditional Western-centric approach. 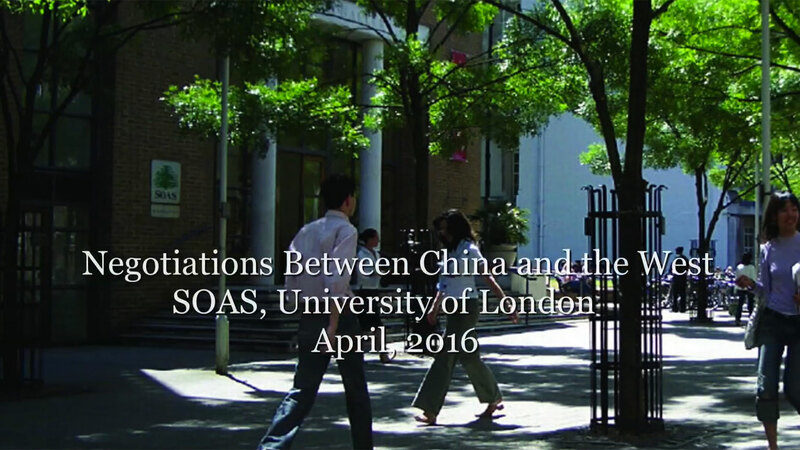 Testimonials from participants at the April 2016 workshop at SOAS, University of London and the July 2015 workshop at Nuffield College, University of Oxford.